Software is flexible, specialized hardware is extremely fast. So why not write software, then turn it into a computer chip? 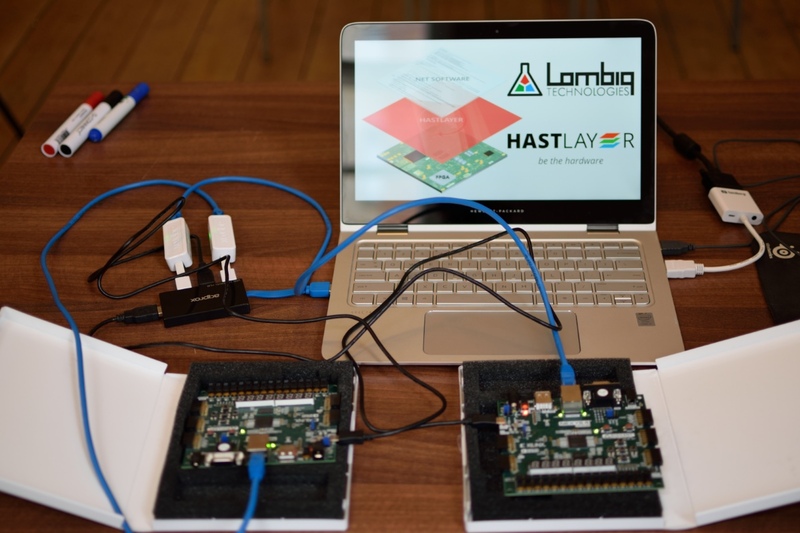 This is what Hastlayer does by transforming .NET software into FPGA-implemented logic circuits. If you're interested you can also download the slides of the Hastlayer talk here. Want to see our rig? These two very ordinary FPGA boards can make your software orders of magnitude faster!